Maintaining your health when you have diabetes is vital to ensure the best quality of life. It’s possible to live a normal, fun and healthy life with diabetes and not allow it to dictate your routine. 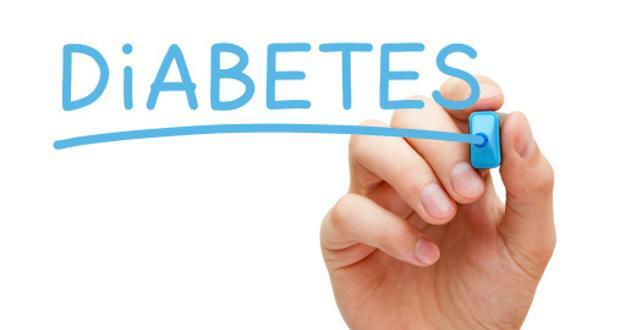 You just need to learn proper diabetes management to take control of your health.As you age, it’s important to take steps to manage your diabetes over the long term to help avoid complications from arising. Choosing what to eat, as well as how much and when you eat, is very important in diabetes management. Healthy eating is important for everyone, even those who don’t have diabetes! Your dinner plate should include lots of non-starchy veggies like broccoli or green beans or a big salad, a small amount of starchy food like rice or noodles, and a small amount of protein. Don’t forget to drink plenty of water and some low fat milk for your vitamin D. Try to avoiding eating before bedtime- this can elevate your blood sugar overnight while you sleep. If you are overweight, shedding some of those extra pounds helps with your diabetes management plan- even losing 10 pounds can help make a difference in your overall health. It’s recommended to exercise for at least 30 minutes five days out of the week. Find an exercise you enjoy doing so it doesn’t seem like a chore. Aerobic exercise helps keep your heart strong, and activities like walking, swimming, and even gardening gets your heart rate up. Also add strength training, stretching and balance exercises to keep you limber, build muscle and help you to stay steady on your feet. Take any prescribed medications as directed, following your doctor’s instructions as far as when to take them and the proper dosage. Make sure you’re aware of possible drug interactions, and keep an updated list of all your medications. You can use a daily pill organizer to make sure you’re taking everything you need to, and set an alarm to remind you when it’s time to take your next dose. Maintain all your doctor appointments, and when you are there, make sure you discuss any questions or concerns you may have with a health care professional. Bring a family member with you so they can help you keep track of important instructions the doctor may give you. You can still include some treats in your diet, even while eating healthy. Learn how to make some tasty sugar-free desserts by purchasing a diabetic cookbook or searching online for diabetic-suitable sweets. Allowing yourself a treat every once in a while will help you to stay on track with your healthy lifestyle. Being aware of possible complications. Knowledge is power, as they say, and knowing what complications to watch for will help you recognize signs that something might be wrong. People with diabetes have greater risk for complications like heart disease, stroke, eye problems, gum disease, foot problems, skin issues, and even depression. Get 6, preferably 7 or more hours of sleep for recovery time for the nerves and all other systems to settle and rest. This will lower your diabetes problems, i.e. : blood sugar levels [and improve your blood pressure]. These “free” foods have few, if any, carbohydrates and calories, so “one” of them won’t cause weight gain or increased blood sugar. Reach out to others who have diabetes by joining a support group. Or, share your story with friends and family members who can help you maintain your healthy lifestyle. Changing some of your old habits can go a long way in your diabetes management. Knowing how to lead a healthy lifestyle will allow you to enjoy your life to the fullest.